When it comes to mastering drills to improve bat-speed there are only a few things that I aspire to have my hitters master. 1. Learn how to hit the fast-ball consistently and effectively. 2. Achieve minimal head movement. ” The Art of Baseball Swing Analysis Series”. In this video, I’ll share with you a couple of tips you can learn from Bryce Harper in this video where he absolutely crushes a high fast-ball into the gap. 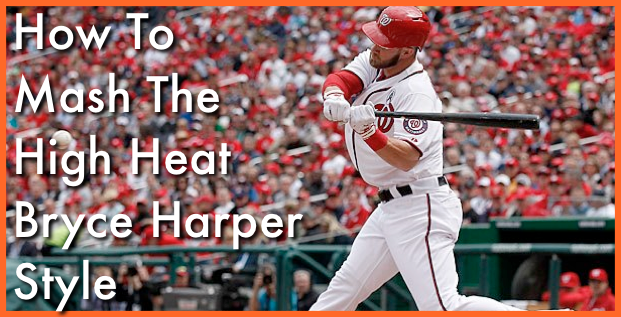 1:44 – How Bryce Harper slows down the ball. Who’s swing do you want to see next? Let me know who’s swing you’d like to see next in the “Art of Baseball Swing Analysis Series”. I love hearing from you guys so don’t forget to leave a comment down below and say hi. P.S. If you’re ready to take your game to the next level and get your very own swing analysis join the Hitting Machine Academy online course. You’ll get access to the newest baseball training with new updates each month. Join today for $1 and take a test drive. Click Here to learn more.